Yard sales and Craigslist are both great ways to make a little extra money and clear the clutter from your home. However, I’ve found that small items don’t sell well on Craigslist, and selling at garage sales means I need to sell things for next to nothing. Thankfully there is an alternative: Facebook. Facebook is not only great for catching up with old friends, but it is also a wonderful way to make money by selling items you no longer need. While you can list things for your friends and family to buy, the real profits are made through local buying and trading groups. Chances are you have one or several of these groups in your area. To find a group, just search for your city in the search box and then ask to join any of the groups that look interesting to you. If you cannot find a group, you can always start one yourself, though this can be time-consuming. I am a part of five different groups, two geared towards baby and children’s items, one towards women and men’s clothing, and two others for general stuff. I have had the most success selling home décor items. 1. Gather and take pictures of your stuff. Chances are you have a lot of stuff that will sell. All you have to do is gather it all up and take a picture of each item. If you have several smaller items, try grouping them. I know I wouldn’t meet someone just to buy one onesie, but ten of them for $9-10 sounds like a deal. I have listed everything from curtains to coffee mugs to baby items. I can usually sell my baby and children’s items, as well as home items. However, when it comes to selling women’s clothing and men’s clothing, I have not had much success. 2. Write a good description. In your listing, you should include applicable sizes or measurements, the condition, the color (sometimes cameras don’t pick up colors clearly in dim lights), as well as the price and the location you want to meet at. 3. Private Message the important details. It is not wise to give out your phone number for the whole community to see, just in case there are untrustworthy people in the group. If someone wants to buy something from me, they will either give me their cell phone number and ask me to text them, or I will private message them my number. Use the same amount of caution as you would with Craigslist listings. If the person looks or seems shady, you do not have to sell to them. Your safety and the safety of your family are more important than temporarily offending someone. Ashley is a freelance writer based in California. She loves to write about everything from finances to fashion, you can check out her blog at The Thrifty Wife. When she is not writing, she is taking care of her husband and baby girl. 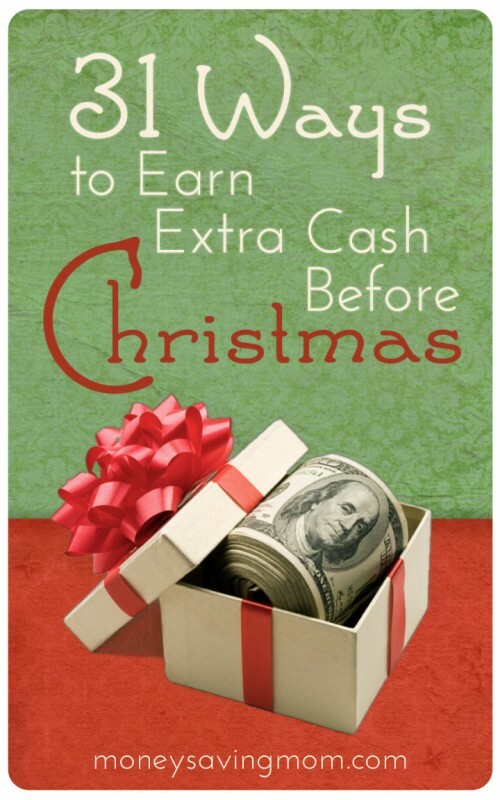 This is also a good way to SAVE on BUYING Christmas gifts too! I’ve bought and sold a lot on the 4 or 5 local sites to me and have had very good experiences in all situations. Keep in mind even if you don’t think it will sell or that you will get much for it you might! I sold a crate full of baseball cards for a lot more than I thought I would get and I felt like a blessing too because she was going to save them for a Christmas present for her son! Just use caution and meet in very public places and only share addresses and phone numbers in private messages! Thanks Denise – what are some of the key words people should use in google searches to find good local sites? Are there any national ones that cater to local markets? I have had great success selling to my family and friends on facebook. I started doing it after I got tired of friends saying “you sold what on Craigslist…man if you had told me I would have bought that from you” but have not ventured out to the group selling areas yet, after reading this I just might try it. There are many Facebook groups that are set up for selling clothing. There’s a group for Moms of Multiples that sells clothing in sets (sometimes matching, sometimes similar), and is specifically geared towards twins. It’s pretty cool. People post pictures of what they’re selling, and you can ask the seller how much it would cost to ship to your zip code. The group has its own feedback system, and you use PayPal to make purchases. One trick I recommend is to upload pics of children’s items during afternoon nap times since that’s when other parents tend to be looking online. That way, pics of your items will be at the top of the page and easier for others to find. I have sold a few things through Facebook buy/swap/sell groups. I have had a lot of success buying baby clothes through these groups as well. I don’t have hardly any good thrift or consignment stores near me. Plus, these often end up being more expensive then buying straight from a person. I have had success selling women’s clothing on these sites. Stylish, name brand items sell the best. Many items that I bought at Goodwill for a couple of dollars ended up selling for what I paid for them! You can even go to Goodwill when they are having “dollar days” and buy some pieces that are in excellent condition, in season, and are fashionable – these can sell for up to $10.00. Can you be more specific on what to search for? I searched for Minneapolis, MN or For Sale in Minneapolis and didn’t find anything. Thanks!! This probably isn’t very helpful, but I belong to one called Charleston Mom Swap. I heard of it through word of mouth. Try asking on your FB page if anyone knows of a local group. I know that it is sometimes hard to look for, especially since each page is unique and dependent on the person who made it. Good luck in finding a page. I just joined a mom’s swap group and it has been great! I have two boys and I am selling things the youngest outgrew and buying things for the oldest when needed- I got 10 pairs of pants and a shirt fo $20 and 5 long sleeve shirts and a jacket for $20–almost his whole fall/winter wardrobe. I know Crystal would say 10 pairs of pants is excessive–LOL! But in all honesty, by the time one pair is in his bookbag for an emergency change of clothes at school and another pair is in the car for emergencies and one of the ten pairs was dress pants we only use for church, that leaves 7 pairs plus the 2 pairs of jeans from last year that still fit= me only having to do his laundry once a week! We meet in parking lots or soemtimes it ends up being someone I know! A girl I work with bought some stuff from me–easy as bringing it to work with me. Another lady I know from the Y where I excersiced recognized me in my profile pic., so we just met up there! It is a great way to buy and sell! I have recently discovered this and am so glad I did. I have only listed 2 items so far, but see the potential in items I have around the house and have seen how well others have done with it in my hometown. I made over $100 on some bags of protein shake mix that I can no longer have due to allergies and also sold a set of hanging candle holders that I had never liked since I put them up for more than half of what I paid for them 3 years ago. Yes, I take part in a local “Yard Sale” on FB, and it’s been good for some things. One of the things that doesn’t always go smoothly is Private Messaging, though I prefer it. If someone PM’s you and isn’t on your Friends list, you don’t get notification of it from FB. And it’s not always very visible since it’s delivered to your Other folder. Many people in the group, esp newbies, don’t even realize they have an Other folder. Thanks for mentioning that. I had someone comment that she had PMd me, but I never saw evidence of it and got no notification. Now I know where to look. I’m in a Facebook group that caters to kids clothes for twins. It’s so awesome! Items are sold in sets (matching or coordinating), and the group has created its own rating system. All items are shipped to the buyer, so there’s no going to someone else’s house to pick up or drop off. I’ve also had a lot of luck selling at my local Moms of Multiples resale. This was one of those things I could do right away! I had several pairs of shoes to sell, but do not like ebay sometimes, or like the article said, Craig’s list for small things. Already had pictures. Found my local buy sell trade fb page, asked to join, got the confirmation, uploaded pics and descriptions in about 10 minutes. Loved this segment! Thank you so much. One thing to keep in mind with this is that people will not always show up to get the items they say that they want. I’ve experienced a great deal of frustration with this lately. One dress I recently sold took eight people saying they were “on the way” before someone actually came to pick it up. To me, the frustration is almost not worth it. A few in my own area came up when I search some of these terms. Good luck! I have done a variation of this multiple times over the last year, as my husband and I live a 3rd-floor apartment and don’t have the ability to do a traditional “garage sale”. We’ve created an ‘event’ to the effect of “Online Garage Sale” and posted the items we’re selling with a photo and short description. We then invite our facebook friends and say that we are doing the sale through the next week and tell them to post if they would like the item. Because you’re notified when someone posts on an event you created, we found it rather easy to keep up with the sales. We weren’t expecting long-distance sales at first, but found that we were shipping items across the country for folks who wanted to help us clean our closets (we let people know that if we shipped they would be paying for the shipping cost). We made about $600 so far this year doing this!